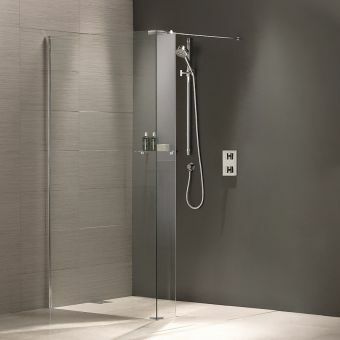 The Matki EauZone Plus Wet Room Panel with shower tray offers plenty of opportunity for the consumer with an eye for premium design. 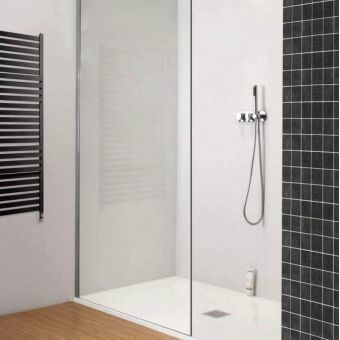 This all in one shower solution does just that. 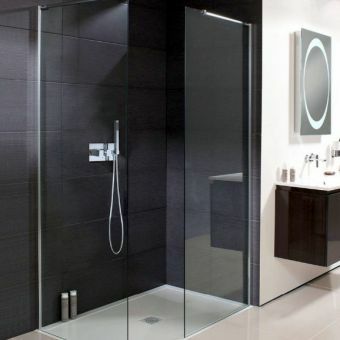 Choosing to include a low profile luxury Matki tray with the 10mm glass panels combines a striking blend of meticulous craftsmanship with the faultless function and reliability of the best shower manufacturer in the country. 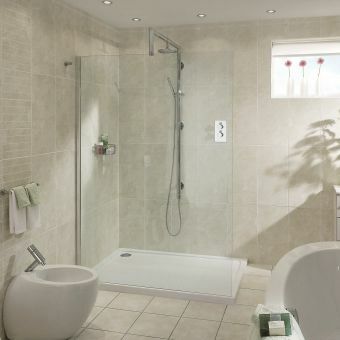 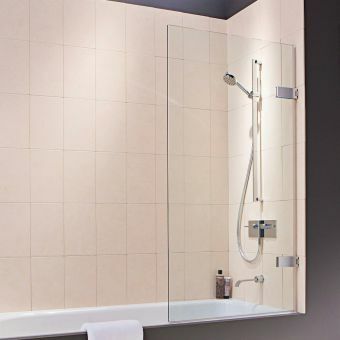 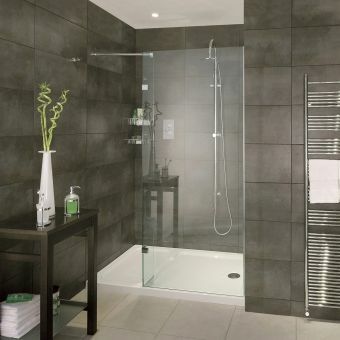 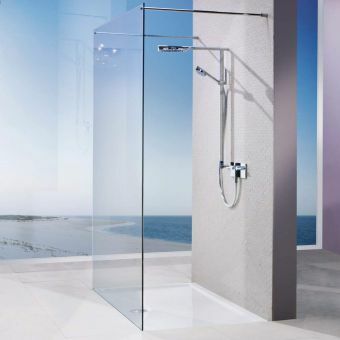 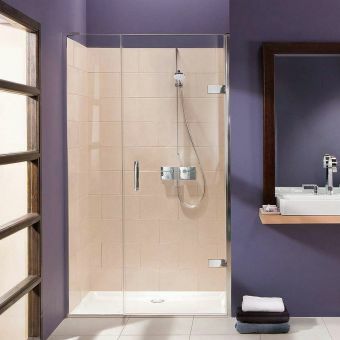 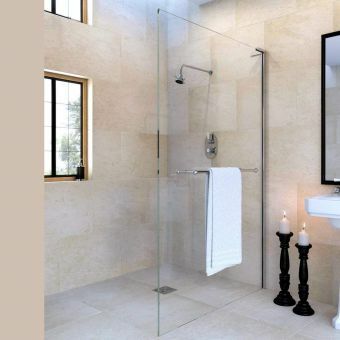 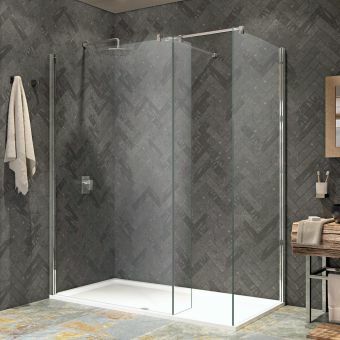 The low profile 50mm tray has a sturdy feel that will not move underfoot and with a silicone free tray to glass installation means a perfect transformation of the shower room. 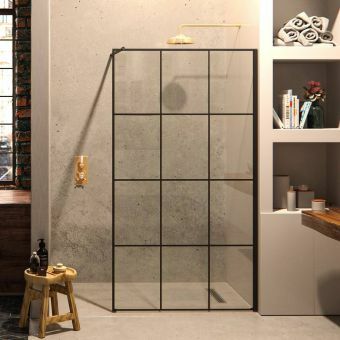 The four sizes on offer will fit most corners or alcoves and side panels are on offer to match should a corner option be necessary. 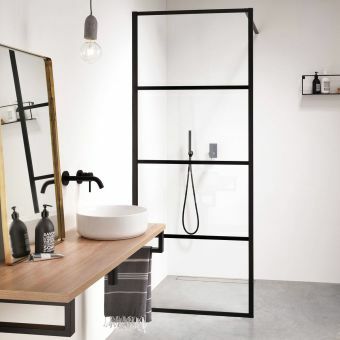 In shimmering polished chrome, it will blend seamlessly with other bathroom fittings, but nickel and gold can also be specified if prefered (special order, please email us).